If you, like me, have been around since nearly the dawn of time, you likely recall an early 1970s TV show called Marcus Welby, M.D. The show’s premise was simplicity itself. A kindly old doctor, who teamed with a young, studly, hipper doc, made house calls on a variety of patients, and usually became ensnared in their lives. As I recall it, patients rarely came to his office. He went to them, with doctor’s bag in hand and a smile on his face. His bill for services rendered couldn’t have been bad. I can’t recall a patient ever disputing a charge. I’ve often thought of that show as I watched with alarm the morphing of the American health care landscape over the past decades. 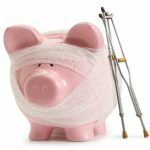 Every year, it seemed, as my income inched higher, my insurance premiums exploded by double digits halfway to the moon. At least I stayed pretty healthy, which was good because overnight hospital visits had grown about as costly as a mid-sized automobile. Not 40 years after America bought the notion of Dr. Welby striding each week into his patients’ homes, health care had done a 180, and become more impersonal, inaccessible, and expensive than anyone could have envisioned. So imagine my excitement and relief when some positive news finally emerged for those of us weary of high costs and the inability to get some basic medical care when we need it. That news was the advent within the past decade of the clinics tucked inside many neighborhood Walgreens and CVS pharmacies. 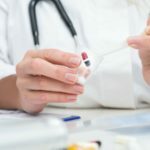 I don’t know about you, but if given the choice between having to make an appointment at a crowded and impersonal doctor’s office or medical center filled with sniffling patients, or simply strolling down to the pharmacy clinic located in my immediate neighborhood, I’d choose the second option any day of the week. If time is money, and we know it is, that’s spending green in your pocket. The unveiling of these clinics is an upbeat development in a minefield of misery. So much so I sometimes worry they won’t be patronized enough and will vanish from the scene. While it’s probably an unreasonable fear, I’m not taking any chances. This is my opportunity to run down the list of all the reasons to utilize them, and ensure they’re embraced to such an extent they’ll never go away. The first question most folks ask about these clinics is about the level of care offered. I checked it out, and am told pharmacy-based clinics are staffed by board-certified nurse practitioners who are able to diagnose, treat, and prescribe. From what I hear, these women and men are as well or better trained than the general practitioner of years ago, the very Welbyish doc we see in our mind’s eye when we summon memories of the “good old days” of family medicine. Don’t fret about getting sick on evenings, weekends or while your doctor lines up a putt at the 11th green. Pharmacy-based clinics are open seven days a week, many evenings, and even on your physician’s preferred golf dates. It’s even possible to go online and reserve a time to meet the medical professional at your local clinic. Of course, pharmacy-based clinics offer walk-in services as well as appointments. Have you ever had to take hours away from work or family to visit a doctor and have a sore throat or upper respiratory infection treated? Well, these conditions, along with flu, coughs, ear infections, sinus infections, bladder infections, skin conditions like shingles and eczema and many others can be treated around the corner at your neighborhood pharmacy clinic. Who wants to go through the hassle of a doctor’s visit to simply get a flu shot? With the dawn of the era of pharmacy-based clinics, you don’t have to. 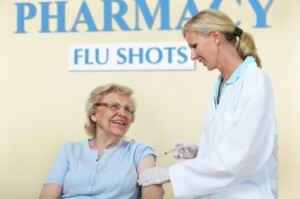 Flu shots, pneumonia vaccinations, shingles vaccinations, and other vaccinations are now as close as your local pharmacy, and often less costly. The chore of getting school, camp, college, sports, or administrative physicals is another nuisance you can check off your list by visiting your local pharmacy-based clinic. If you’re beyond the age of needing such exams, it’s likely you have a child or grandchild who can benefit from these physicals. Let’s say you don’t have a doctor, or your health condition is beyond the scope of medical services provided by the pharmacy-based clinic. Additional good news awaits you. The nurse practitioner on staff can provide you a referral to physicians in your area. Moreover, their lists are updated with names of physicians who are welcoming new patients. Tired of trying to read your physician’s handwriting? That’s not a problem at pharmacy clinics. CVS Minute Clinics, for instance, provide visit summaries at the conclusion of each visit. The summary will provide any test results and a treatment plan, which can be faxed to your physician with your permission. Pharmacy-based clinics can screen you for high cholesterol, hypertension, obesity and other conditions, and can help you monitor conditions for which you’ve already been diagnosed, such as asthma and diabetes. They can get pack-a-day folks on a quit-smoking regimen, offer assistance to lower cholesterol, and provide a variety of other wellness services as well. It’s my sincere hope that you go out and use your neighborhood pharmacy-based clinics, as long as you don’t overwhelm the friendly staff at the clinic in my ‘hood. 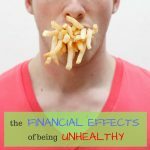 You’ll find them good for your health: physical and fiscal. 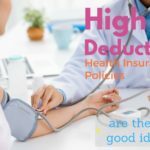 Are High Deductible Health Insurance Plans a Good Idea? Long gone are the days of Marcus Welby. Other good alternatives to keep health costs down include medical concierge practices. I have several friends who are in these and they are in love with it. There is also a company called White Glove that you can subscribe to (and is covered by some insurance companies) where nurse practicioners make house calls and have a wide range of prescription meds with them. They started in Austin and have expanded to other cities. And, one more way is to join benefit plans which have a telephone doctor benefit that can prescribe meds after a telephone consult (they have limits as to what can be prescribed).